Despite all the negative reviews Insured Profits is still continuing to scam people in a very effective way. Here’s a description of one of the most sophisticated binary options scams and how its done. Dave, Ginny, Steve, Andy are a part of a team of professional actors paid to promote a binary options scheme dubiously named Insured Profits. The main claim or solicitation is the false claim that for every $20 invested you stand to make that amount back including 75% ROI, and for every trade lost only $2 would in reality be deducted from your trading balance. The mathematical flaw is embedded in the actual logic (or no logic for that matter), there can be nothing like this, and even investment giants like Goldman Sachs or Bank of America Merrill Lynch don’t have these types of return on investments. The creators of this scam employ various types of tactics, however the use of SPAM Email marketing is the preferred method. Sometimes you signup for something and are not fully aware that this service is actually selling your email and personal details to a third party, or altogether spamming his lists in the hopes something pans out. False advertising is also a very prevalent tactic used to solicit unsuspecting traders. For example, “this system can make you $100,000 a day” is really a common practice, and while people usually overlook this it should be known that it is a crime and people pay fines and/or serve jail time for unlawfully deceiving people this way. Hacking or manipulating Google to index fake sales pages while using commonly used keywords is another way to target victims. In fact, there is a growing trend now where opportunistic hackers are copying content from reputable sites and displaying it in a deceptive fashion. I won’t put the link here because you will click it and then your computer will be infected with malware. Phishing is when someone poses as a legitimate entity to illegally obtain financial information such as credit card, bank account, social security, or password details. If people contact you to obtain this type of information, make sure to report them to your local authorities or otherwise simply move on. Spyware is an additional method employed by marketers, and this is used to track your internet surfing habits and sell you relevant offers or promotions. Other forms of fraud include credit card fraud, debt collection, fake checks, lottery scams, moving, fake invoices, Email Spoofing, the Nigerian Scam, tech support scam, and identity theft. 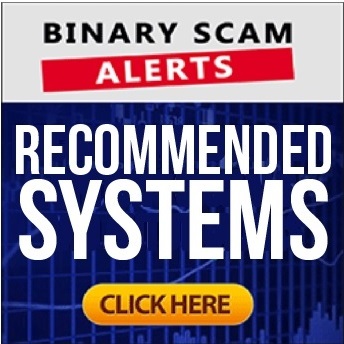 The Free Money System (Walter Green), Channel Ranger, The Mockingbird Method, Coffee Cash Cheat, Binary Matrix Pro, and Dow Focus Group all use similar tactics and they will surely steal your money if you register for their service and with one of their shady recommended binary options like Interactive Option or Optionmint. One way to do it is to make sure you deposit funds with websites that are HTTPS secure. This can be identified with the padlock in the URL of the site. Another way is to check the Better Business Bureau website, or sites like ripoff report which are usually the first ones that get the scam reports.